Personhood USA congratulates the Colorado House for passing a measure providing protections for preborn victims of crime. Preborn children may soon enjoy protection from violent crime in the state of Colorado. On Monday, the Colorado House gave final approval to HB 1130, the state’s proposed fetal homicide law. The bill now heads to the state Senate where Democrats outnumber Republicans 20 to 15. 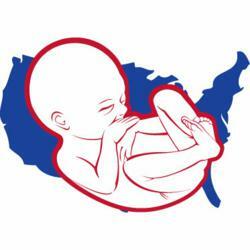 Opponents argue that the bill would confer, upon the preborn, the status of legal personhood. Meanwhile, supporters counter that the current criminal code is insufficient in charging violent criminals in cases such as Laura Gorham’s. As reported by the Denver Post in 2010, Gorham lost her 34 week old preborn son in a hit-and-run. 35 states currently have a version of the federal Unborn Victims of Violence Act on the books, leaving Colorado as just one of 15 states without such a measure. HB 1130 would apply the current criminal code equally to every member of our species, including preborn children. “If the commission of any crime codified in this title or Title 42, C.R.S., is the proximate cause of death or injury to an unborn member of the species homo sapiens, the respective homicide and assault charges for that death or injury may be brought contemporaneously with the underlying charges,” it reads.